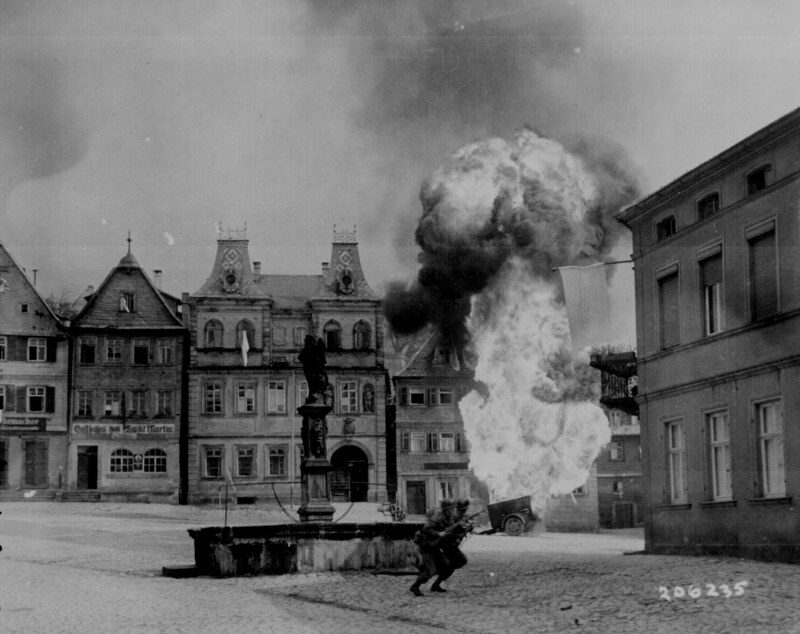 For the restored photograph I chose a photo that was taken in Germany while fighting was still going on. This particular photograph was taken April 19, 1945 in Kronach, Germany. To restore the photo I chose the neutral density adjustment. 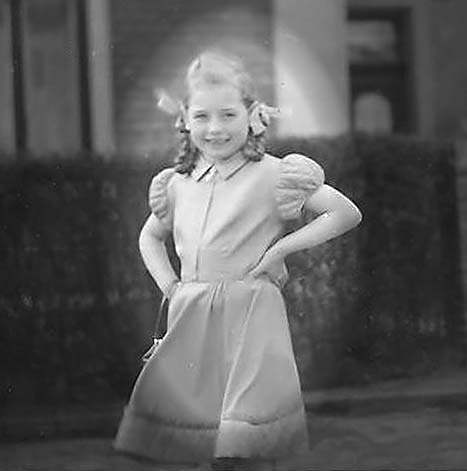 I also used the spot healing brush tool to clean up any marks on the original photograph. I sharpened the image to bring out some of the details and I also used the camera filter, warming filter (85), to get the sepia tone and warm up the photo a bit. 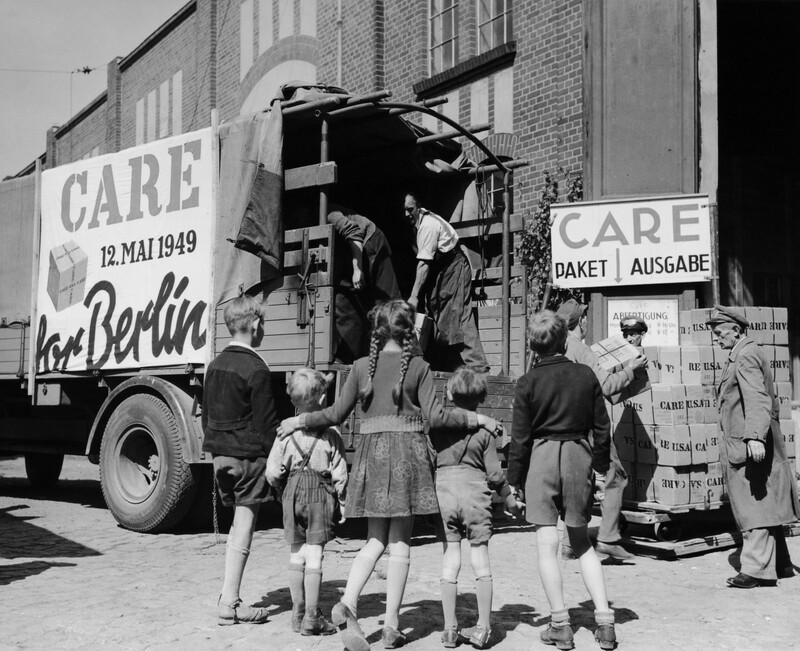 For the header I chose a picture that depicts a delivery of C.A.R.E packages to Berlin. First I cropped the photo to make it more more appropriately sized for a header image. I laid a yellow tone over the image and then used the gradient tool to fade the color back to black and white as you move horizontally across the image. 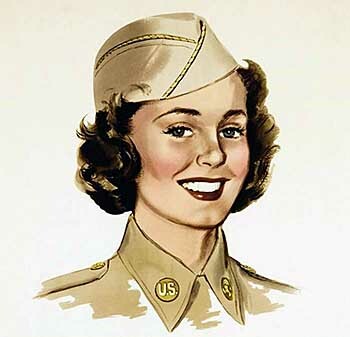 For the matted engraving I chose an illustration from American Women's Army Corps recruitment posters. I used the auto tone, contrast and color tools and then added in a transparency and background layers to change the background to white. 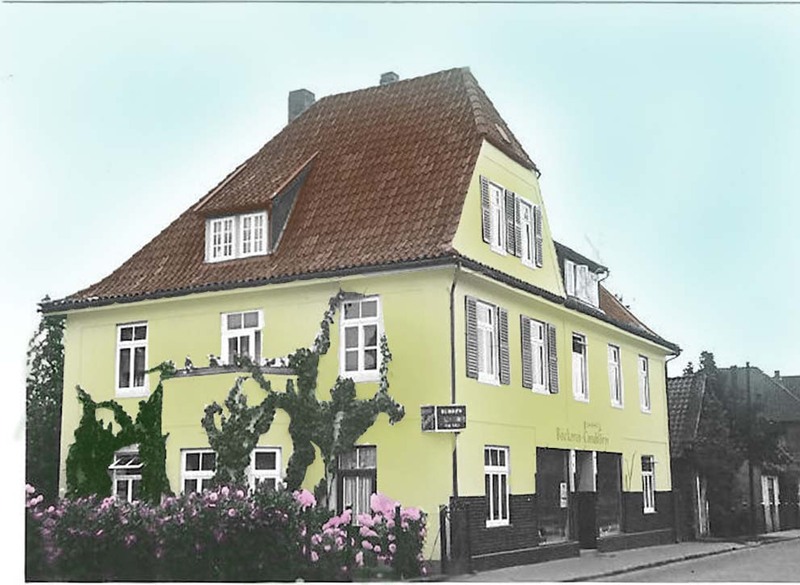 The photograph of the building I chose to hand color was included in a file of pictures that came from the woman who recieved C.A.R.E. packages from my great-grandfather. 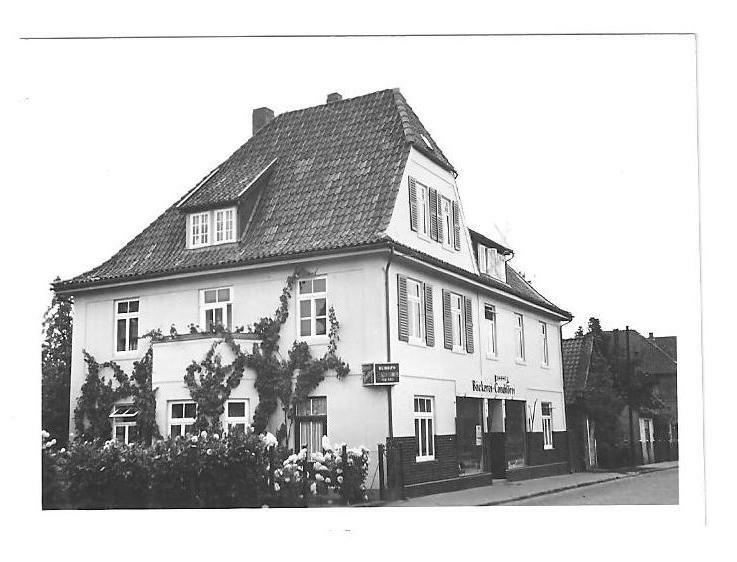 I assume it's a building in Syke, Germany where the family lived after the war. I used the magnetic lasso tool and the paintbrush to add color. Some spots look less realistic than others. 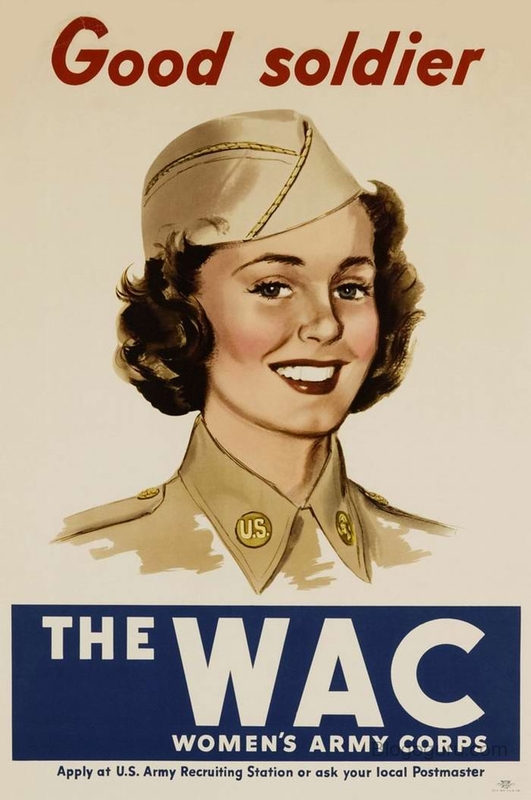 To make a vignette and highlight a portion of a photograph, I used the elliptical marquee tool to select the area of the photograph I wanted to highlight. I feathered the edge to make it look less severe and then I darkened the inverse of the selection. I also cropped and straightened the photo. 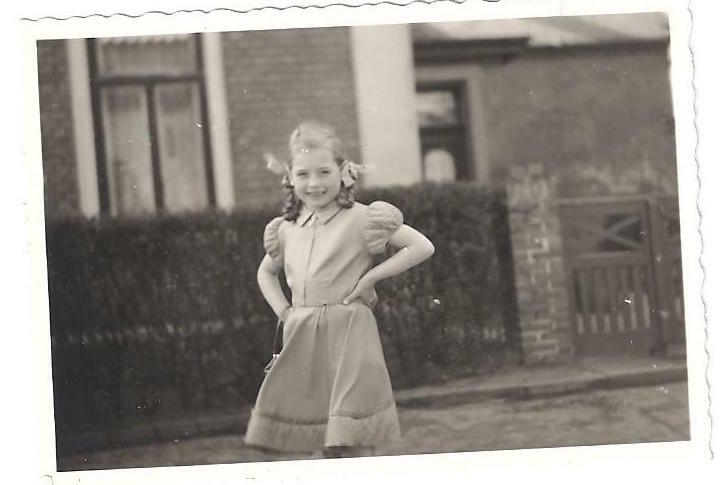 The photograph depicts the young German girl who recieved C.A.R.E. packages.